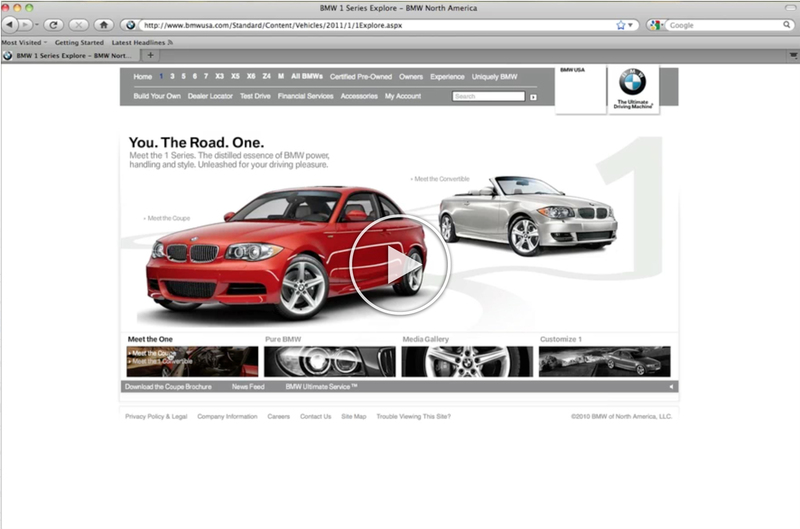 Launched the 1 Series in North America. 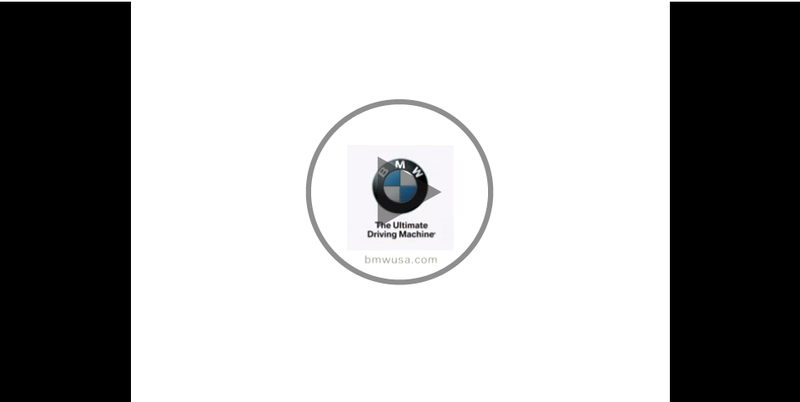 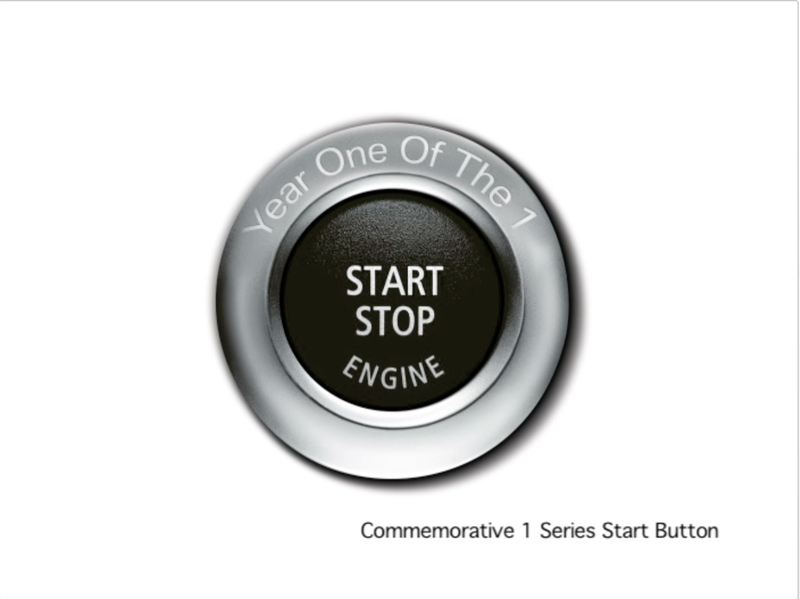 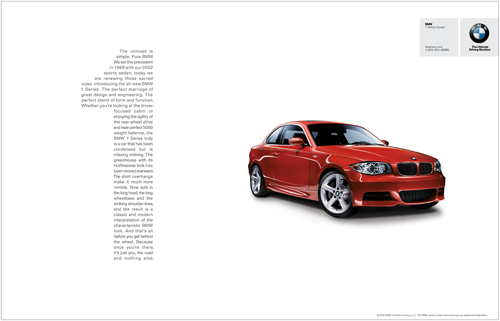 The U.S. introduction of the revolutionary 1 Series gave BMW the opportunity to become accessible to a younger audience, making them early loyalists and life-long brand advocates. 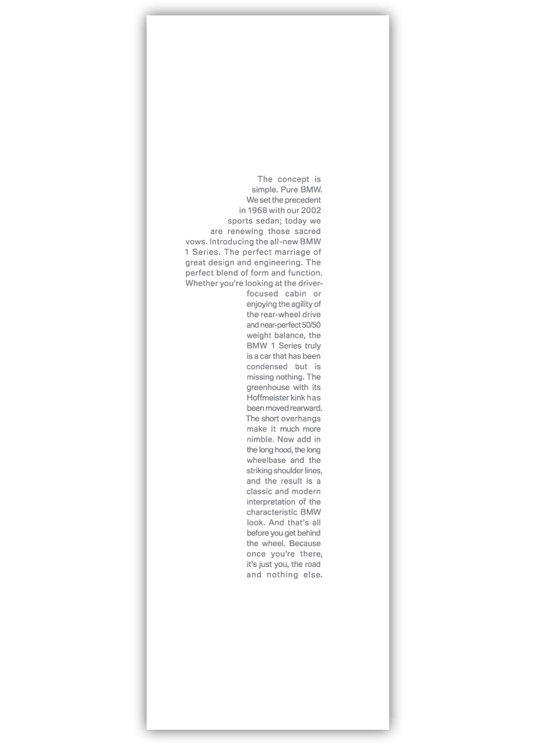 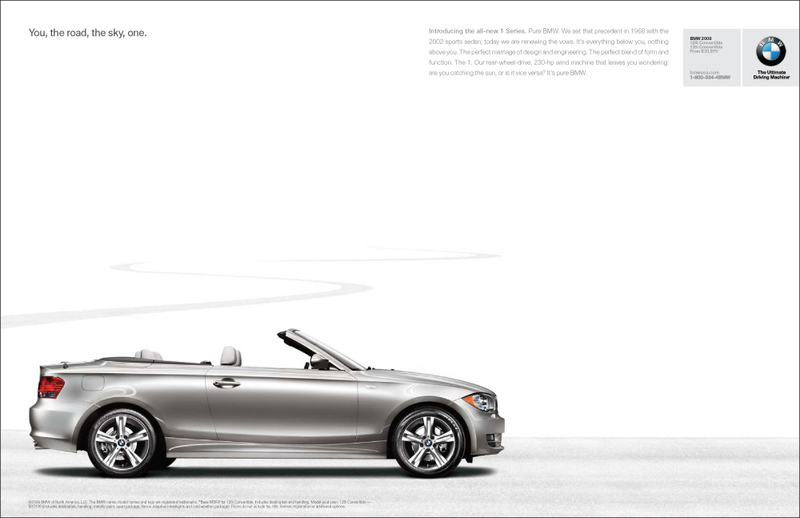 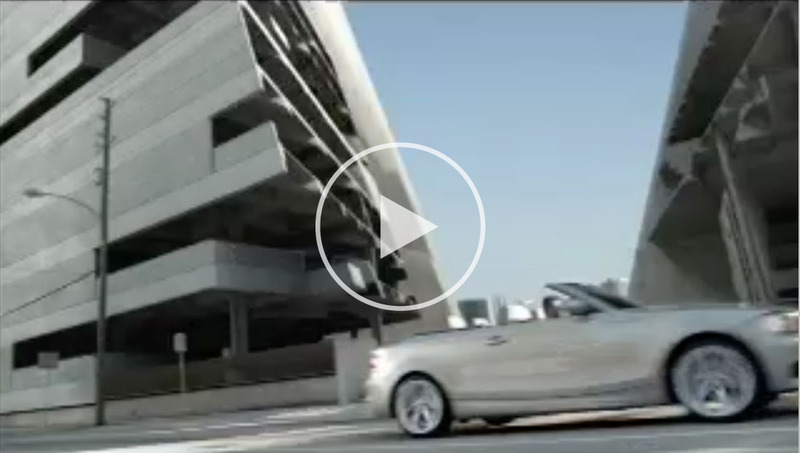 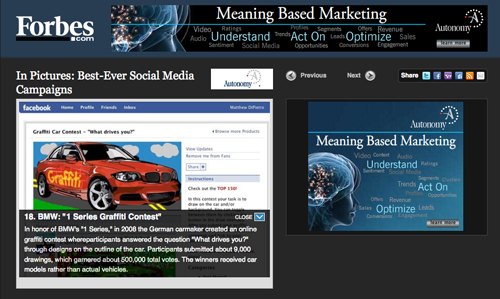 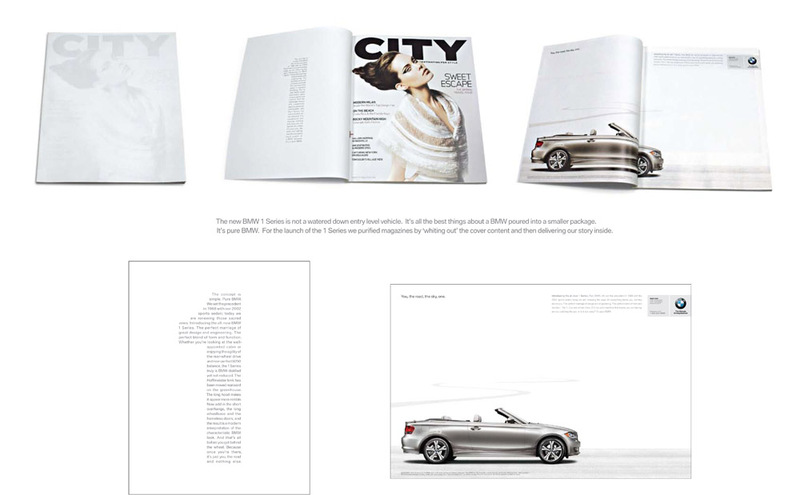 Through the use of audience-appropriate social networking, print partnerships and a celebration of the Year One of the 1, the campaign idea of “Pure BMW” brought to life the idea that the 1 Series is distilled yet never reduced. 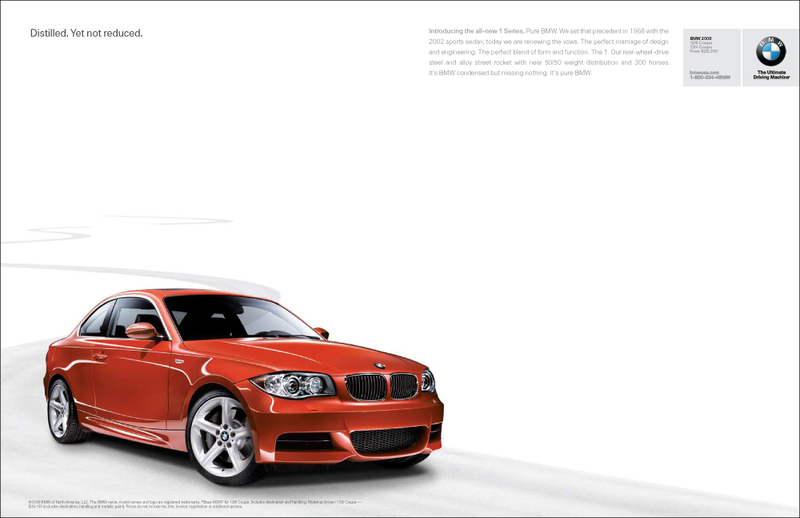 The 1 Series arrived in the U.S. greeted by tens of thousands of interested buyers and breaking sales goals during the launch phase. 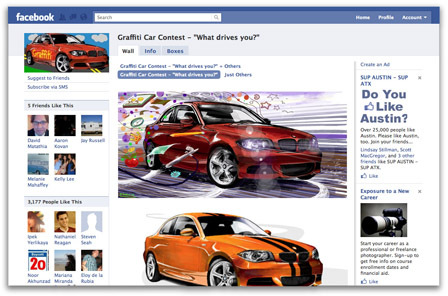 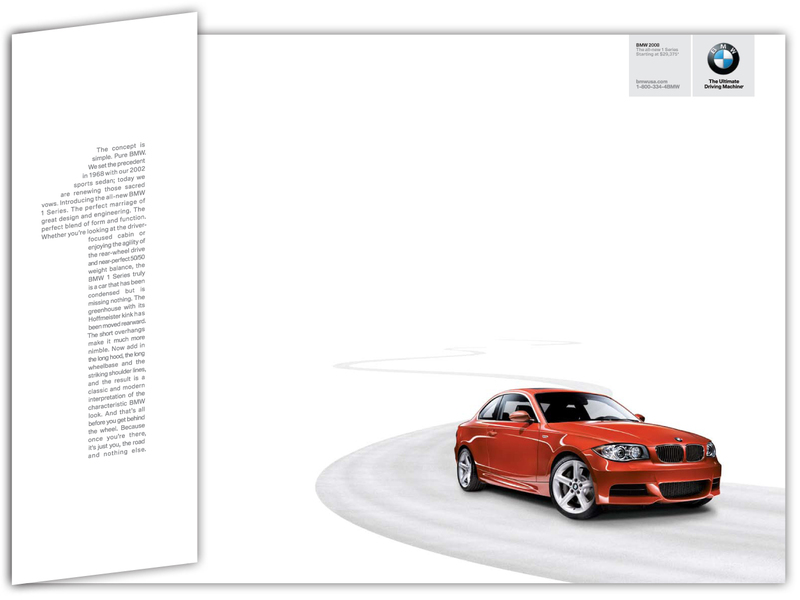 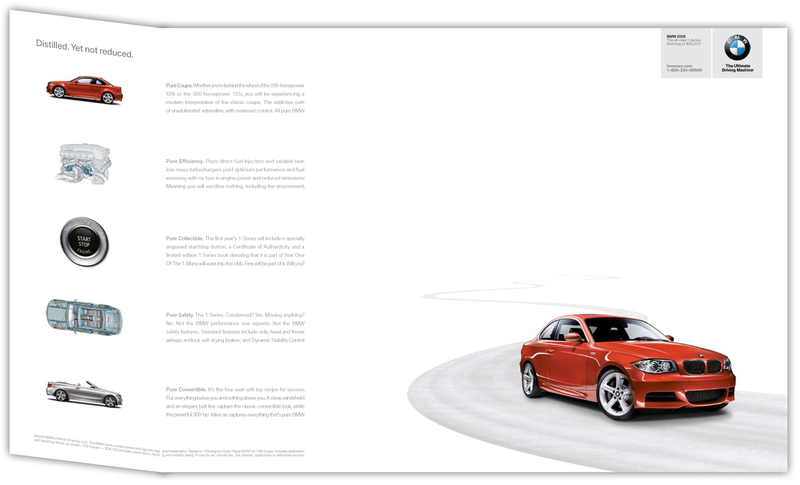 Media included: TV, Print, White-Out Cover takeovers in Paste and Dwell, Page Number take overs, Faded Magazine edits, Digital, Commemorative 1 Series Start Button, and a 1 Series Graffiti campaign on Facebook designed to galvanize BMW enthusiasts. 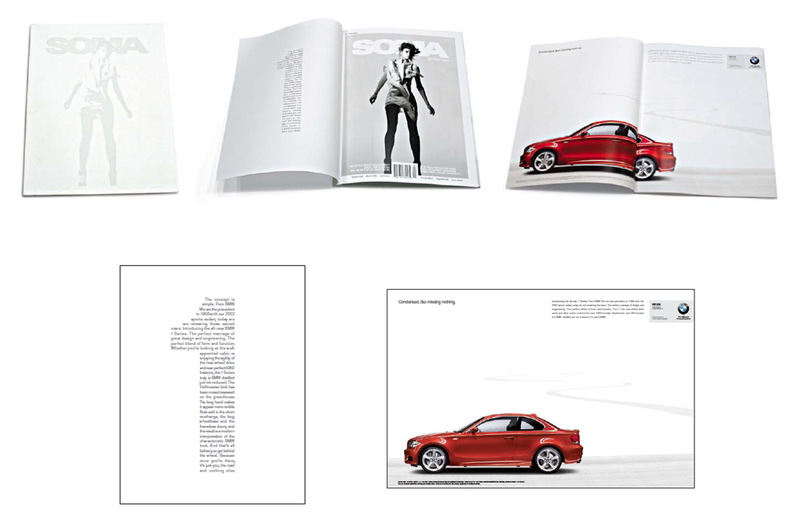 Awards: The Kelly Award for exceptional magazine adverting; a Silver Effie for overall campaign effectiveness; and many others.